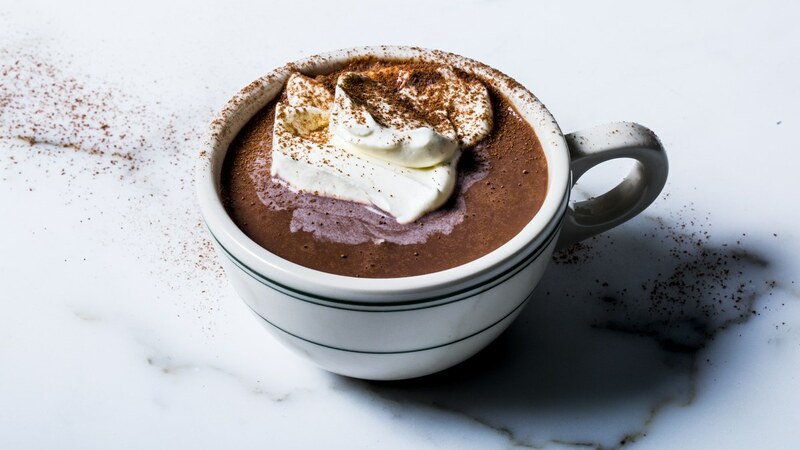 In my previous post , I spoke of all things cozy for winter with this delicious hot chocolate image. I got back a lot of emails asking why there's no recipe for that delicious drink. So here are some absolutely decadent recipes.. Many years ago I had a life-changing cup of hot chocolate at the world renowned patisserie Laduree in Paris, France. This wasn't just any hot chocolate. Oh, no. What I had was pure, decadent, the creamiest, the darkest, the most delicious liquid chocolate ever. It was served in a white ceramic teapot with whipped cream on the side. It was so thick, it didn't pour out of the pot like one would expect, rather it slowly ambled out, like lava from an erupting volcano. It took a good one minute to fill the cup ! After that, any other hot chocolate is just not hot chocolate at all. 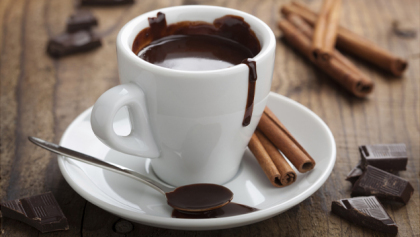 So What Makes The Best Hot Chocolate ? Throw that powdered mix out of your pantry. If you're really looking to have a great mug of hot chocolate, reach for a bar of good quality dark chocolate. Grate or chop the bar and mix in hot full cream milk. The heat from the milk will melt the chocolate making a drink that's thick, rich and decadent. Adjust the quantity of chocolate depending on how thick you want your hot chocolate. Notice that I've mentioned dark chocolate because it makes a drink that's just right in the sweetness quotient, with a deep chocolate flavor and color. Mix all together and gently heat till well combined. Whisk with a hand blender till foamy and thick. Top with whipped cream and a dusting of cinnamon and serve. Heat milk in a saucepan with the sugar and vanilla till boiling. Turn off heat and add the chocolate, mixing well. Pour into a mug and top with whipped cream. Serve.